"Take care and thank you for our wonderful stay in your little piece of paradise. Everyone was so friendly. 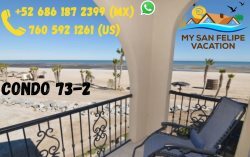 Thank you, Helen and Harry"
"To everyone at 24/7 Baja Rentals, thank you thank you thank you very much for an outstanding experience that we had while staying at yo..."
"We were here for the first home show in San Felipe! We had a great time - made a few friends and meet lots of people. 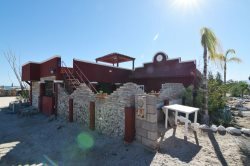 La Casa Bailante ..."
Welcome to Baja 24/7 Vacation Rentals. Look no further. We offer the finest private luxury Sea, Golf condos and homes in all of Baja. Guaranteed to keep you coming back for more. Both long and short term rentals are available. 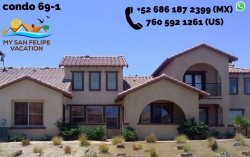 Many of our properties are located in the popular private gated El Dorado Ranch / La Ventana del Mar seaside golf community, with Security On Duty 24/7. In addition to the Ranch seaside properties, snuggled in just north of town, we are pleased to also offer several more cozy beachfront properties, to the south of town. 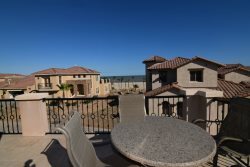 Complementary La Ventana Del Mar Golf Passes are available for all of our El Dorado Ranch Resort Rentals. Bring your Baja set of mind and your golf clubs!! Even if you only want to practice, there are clubs waiting to be rented at the Golf Shop. The non-golfers in your party can play at the beach or lounge by one of the many pools. Tennis courts are also available for those that bring their own rackets. 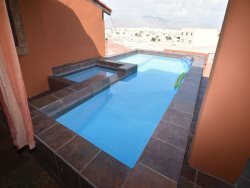 There are many relaxing vacation ideas in all the different areas of San Felipe. We are a quiet fishing village with great food and great people. Each area of town offers relaxation and great family times! !